Methadone was first synthesized during WWII by a German company, I.G. Farben; for use as a painkiller on the battlefield. Being a synthetic opiate meant that there was no need to rely on a supply of poppies for use in pain relief. After the war the factory where Methadone had been invented fell under American control and the first clinical trials began in 1947. At first doctors thought Methadone would be a revolutionary painkiller but by the early 1950s it was hardly being used at all. In 1968 Drs Marie Nyswander and Vincent Dole, in America, were looking for drugs to help opiate users when they read about methadone in the medical literature. They found it helped their patients stop using opiates and that tolerance was slow to develop - methadone maintenance treatment was born. Methadone is a narcotic analgesic or a narcotic painkiller. Methadone like other opiates is addictive. The withdrawals from methadone can be worse but on the other hand it doesnt give a high like that of opiates, so people tend not to crave it as much as they crave opiates. Methadone treatment accompanied by counseling and other forms of help is highly effective. This means that for people who cant stop taking opiates it is often much the lesser of two evils and can be the basis on which to start to build a life away from opiate use. Methadone programmes have essentially come about to reduce the harm that illegal opiate use has had upon society. It is not a cure, but it can provide an opportunity for people to get their lives stabilized. If you think methadone might work for you, you will need to be assessed at the local A&D service in Christchurch it is at the Community Alcohol and Drug Service on 258 Armagh St. If you are successful at getting on a programme you will have to prepare for a lifestyle change. You will be required to consume your dose everyday at a pharmacy which, over time, will place severe restrictions on your movements. Takeaways can be granted if certain conditions are met, but this varies from region to region and you should examine the criteria from the clinic in your area. Most places will reward good behavior with takeaways ie. The more that you can show methadone is working for you, the more relaxed the takeaway regime. However, most clinics do not allow more than 4 takeaways per week, so you can expect to pick-up from your pharmacy a minimum of 3 times a week. You will be required to see a doctor every month, and the case-manager assigned to you will also be present. This will take place at a specialist clinic but later on in your treatment you may get the option of having your own GP prescribe your methadone. You should also expect to submit several urines per year usually this is done to monitor the use of other opiates, but some clinics choose to monitor all substances that one may consume. Once you are on methadone, your name will be on the books and many aspects of your life that were previously private will no longer be so. In short, you should be prepared for intrusions into some very personal matters. Methadone is NOT intended for injection. It is an orally administered substance. When injected, common side effects include local irritation with redness and extensive swelling in the hands. When methadone is taken orally, the peak is about 70% as great and occurs after 4 hours. The duration of action after oral administration is around 24-48 hours. Intravenously injected methadone peaks almost immediately, and the duration of action is lessened accordingly, around 12-24 hours. Injecting methadone means it metabolises much quicker and withdrawals will kick in well before the 24/36 hours of comfort that oral methadone can provide. 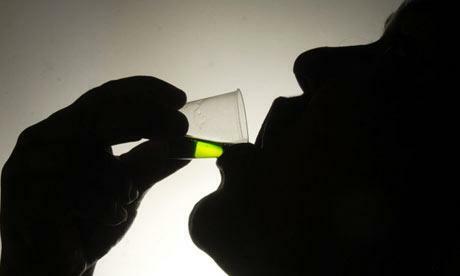 Oral methadone binds to the cells in the liver, lungs and fat before moving into your bloodstream. It takes three days to build up in your system, so injecting results in you feeling unstable more often. Due to the large amount of particle-loaded fluids being injected, your liver and kidneys especially start to take the toll and start failing. This is especially bad if youre an alcoholic, have Hep C or Hep B, as there is a much greater risk of damage to these organs.